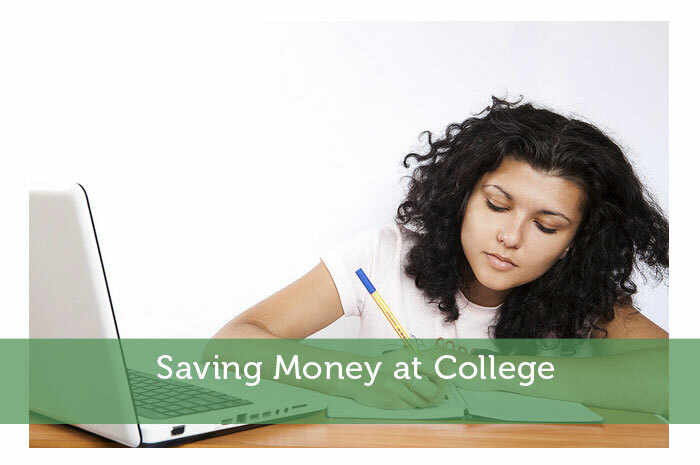 College can be a difficult time for anyone to keep a stable financial base while investing the time and effort needed to succeed in a rigorous academic environment. Fortunately, however, there are a few ways to help you save money, whether you’re an undergraduate or graduate student, and will allow you to exit your studies with less debt, debt free, or maybe even with some savings in the bank. So here are some tips to keep your money where it matters most, in your bank account. Most institutions have part-time studies available at a reduced rate, which will allow you to focus more on individual classes and will let you work while you’re studying. These courses tend to come in a variety of forms, from nighttime and weekend courses to online classes. It wasn’t long ago that online options were only offered in graduate courses, but more and more institutions are making them a staple of their undergraduate programs. The close monitoring of your work by faculty means that you receive the same kind of individual attention that traditional full-time students do. Many institutions have study abroad programs set-up to facilitate students going to partner universities abroad. This does simplify the process and make for less research, but it also means that you’re spending money in the form of fees and perhaps even tuition and housing, when you won’t even be attending your home university that year. By planning in advance, you can see what universities abroad are accredited and the courses you can transfer back to your home university. By signing up for classes directly with the university abroad, you’re more than likely to save significant amounts of money on both tuition fees and housing costs. Though these types of jobs tend to be reserved for graduate students there are some available for undergraduates as well, especially upperclassmen. Academic positions often come with a reduction in tuition and fees or room and board included, as well as a modest stipend. If you’re interested in applying to graduate school or postgraduate fellowships, the work done as a TA or grader will significantly improve your odds of being accepted into one of these positions in the future. Though it can at times be difficult to do, there are many ways to stretch your dollar while studying without sacrificing the quality of your education and the fun opportunities that come along the way. I love your points, Adam. Especially the one about grading or TA positions. In my experience these are pretty difficult to get, and you have to know the subject (and often the professor) well to get the gig. They can pay well though, or at least directly pay for some of your tuition or housing. When I was in college I actually worked at the dining hall – which is a pretty simple job to get for most students, especially because nobody wants to do it. It’s not going to pay for a trip to Europe, but it’ll put some cash in the piggy bank for sure. One add I would suggest is being an RA (Resident Assistant). At my college RA’s got a bigger room, a stipend, and some of their room & board paid for, all for “being in charge” of the floor on which you live. Pretty sweet deal. Beyond saving money I always felt like taking classes part time helped me learn much better than when I was doing full time courses because I could focus on one course (or a small handful of courses) instead of trying to cram them all in. Even if you don’t save you’re getting a better return on your investment doing it that way. I worked part time when I was in college. I was photographer and tutored some high school students. These are just some that helped me during my college days. If I could go back to college again, I would apply for a scholarship, which I didn’t do then. These are some great tips Adam. I also worked at the cafeteria while I was in college. I applied for more interesting campus jobs, but didn’t get them. It seems that everybody wants the more appealing TA positions so they are more difficult to get. The important thing is to do something part time to make the extra money. Every little bit helps! I agree with Maarten, I have a friend who graduated from Seoul, South Korea. He was a part time English tutor to the students there. Thanks for sharing this article. I enjoyed reading it. When I was in college I was working in a school library for two years as a student’s assistant. I didn’t make any money but I have a 90% discount on my tuition fee.